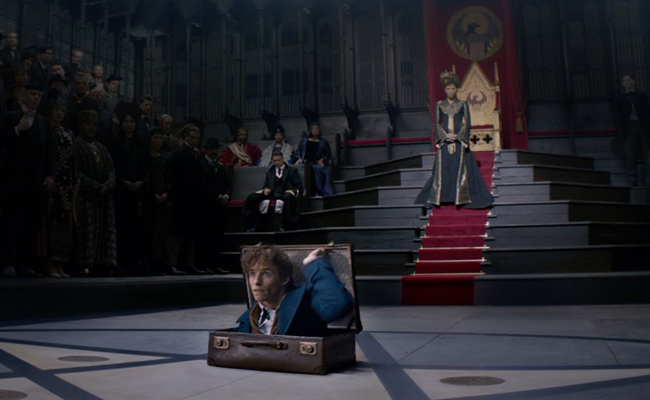 Yes, Scamander's suitcase is like the TARDIS. Thank you, J.K. Rowling. For a lot of things. While a part of the movie-going populace laments the lack of original screenplays in Hollywood, you have given us something new with Fantastic Beasts and Where to Find Them. Well, it's not wholly original in the sense that Inception and Interstellar were original; I meant original in the sense that this wasn't adapted from any existing literary material. 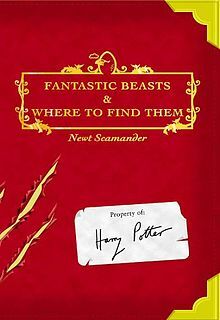 Technically, this movie would be classified as a spin-off, very (very) loosely based on the book of the same title released as part of Comic Relief in 2001, which was basically you bringing one of Harry Potter's fictional textbooks to life. I guess an original spin-off is way better than an adapted screenplay. Cover of the original Comic Relief book. Thank you for bringing magic across the pond to America. Your skill in creating a solid fictional universe is unparalleled, rivalled only by maybe George Lucas. I think Fantastic Beasts is more than just a mere spin-off. 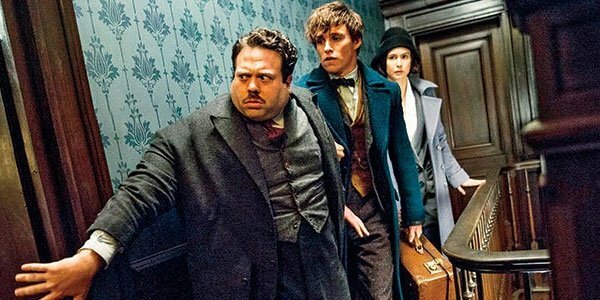 It's like a break-away religion that has taken a life of its own, and after the five movies you promised, the American wizarding world could be even bigger and more complex than the one in Britain. "Honestly, I'm not happy that I won't be back for the sequels." Thank you also for the great casting choices. 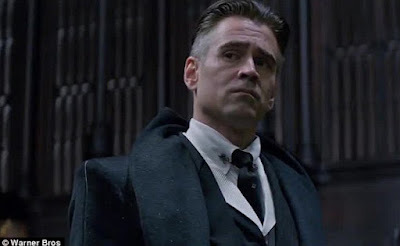 Much like you had a hand in casting Daniel Radcliffe as Harry Potter, I'm sure you also had the final say in the casting of Fantastic Beasts. 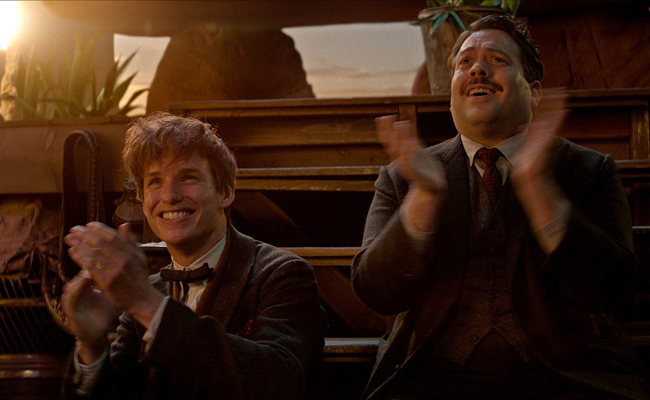 Eddie Redmayne seems perfect as the bumbling magizoologist who's like a duck out of water, although I wonder if Matt Smith could have played the role with equal brilliance. 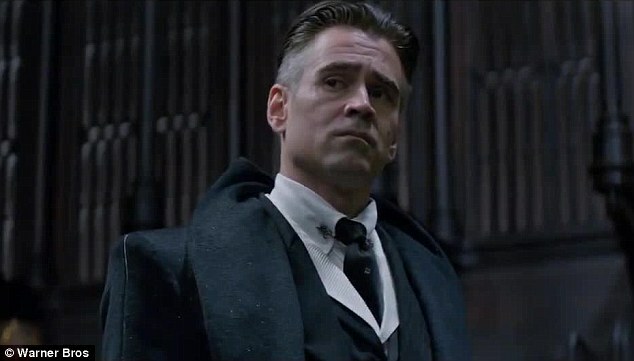 Colin Farrell is spot-on, if only because the Fantastic Beasts and Where to Find Them screenplay describes his character Percival Graves as "very handsome, early middle age". Alison Sudol also gave a very convincing performance as the blonde bimbo American witch Queenie Goldstein, and I'm rather interested in how her skill in Legilimency will play out throughout the franchise. Johnny Depp as Gellert Grindelwald was surprising (I had no idea coming into the cinema), and I hope his future performances as Grindelwald show no trace of Captain Jack Sparrow, a role he has a habit of falling back on. 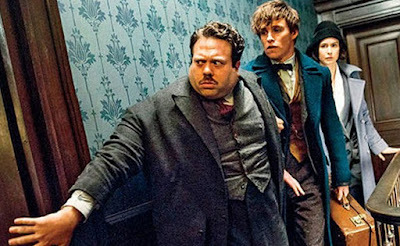 My most favourite character in this movie, however, is the Muggle No-Maj Jacob Kowalski, played by Dan Fogler, an actor I liked since Balls of Fury and Fanboys. 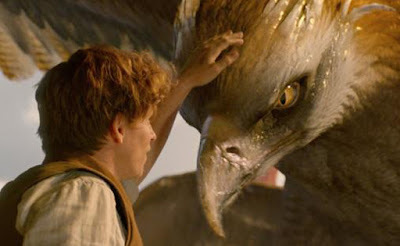 He serves as the audience's anchor point for this franchise, someone non-magical folk can relate to, much like Harry Potter was the anchor point for the previous franchise. I mean, come on, look at Kowalski's face. 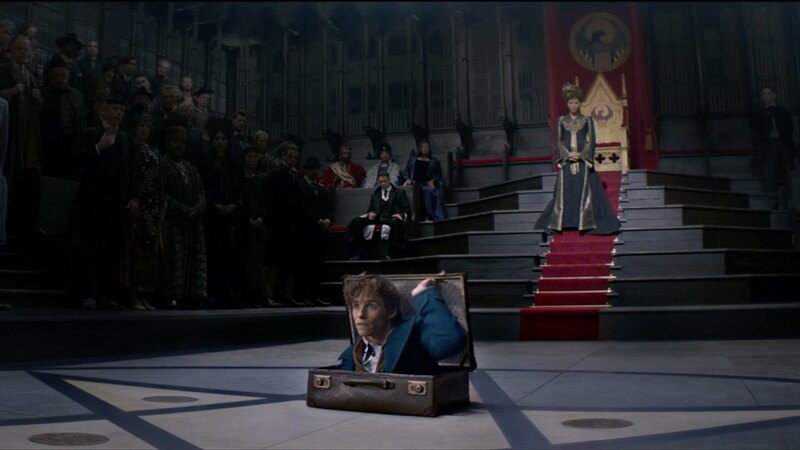 Thank you, Ms. Rowling, for your hyperactive imagination. These beasts you conjure from your imagination are awesome, although almost of these creatures have already made their debut in the Comic Relief book. The niffler is so adorable, although of course I wouldn't want to have a kleptomaniac for a pet. The demiguise still has the most awesome ability of them all – invisibility. The erumpent is just too big to be allowed, even in Scamander's TARDIS-like suitcase (bigger on the inside). And the thunderbird, oh what a glorious beast. Thank you also for designing the sorting test for Ilvermorny, because I took the test and got House Thunderbird. Now isn't that a majestic creature? And finally, thank you for ensuring that all screenplays of Newt Scamander's franchise will be penned by you. What better way to preserve the voice and feel of the original wizarding world we all grew up with. I eagerly await the second film in this series with as much anticipation as I had waiting for the Harry Potter books to come out. Fantastic Beasts and Where to Find Them. UK/USA. 2016.